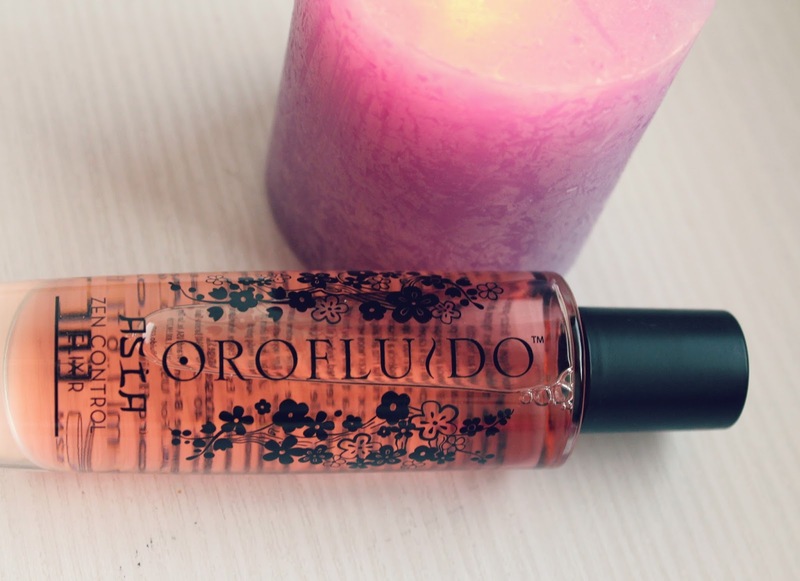 Orofluido - Zen control elixir - This is basically a mix of few different types of oils that are good for the hair ( rice oil, bamboo and camellia oil ) and it gives the hair softness, elasticity and smoothness. The formula is very light and it's not making the hair greasy at all, plus you're only supposed to apply it on the lower half of the hair. Smells very sweet, which i kind of hate, but the smell it's not very strong so i just go with it. Also, i buy this from my hairdresser, i don't think it's available in drugstores or supermarkets. 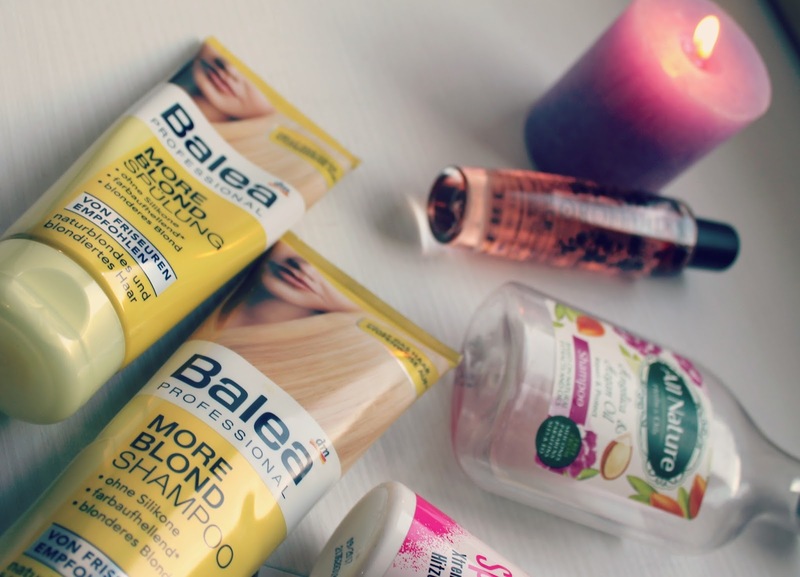 More Blond Shampoo and Conditioner - Click here and check this out, i've mentioned the hairspray from the More Blond range, and that product with these two - the Shampoo and Conditioner, are officially my favorite hair products ever since i went blonde. 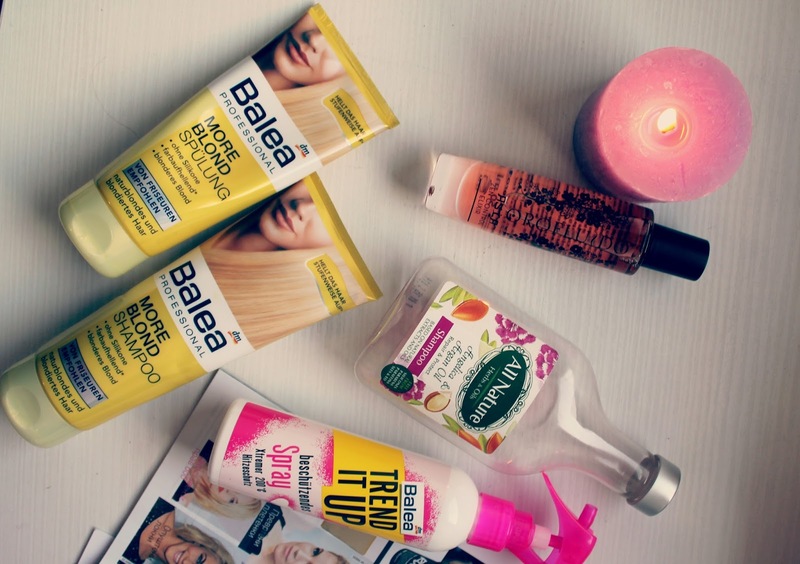 I highly suggest these products if you have blonde hair. They have chamomile and lemon extracts which maintain the light color of the hair, and they prevent the color from becoming yellow and brassy. 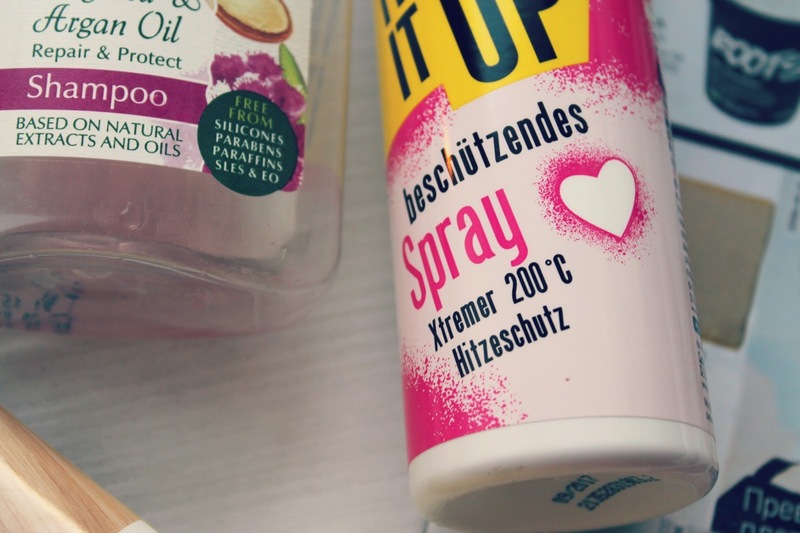 And of course the Balea Trend It up - Heat protection spray, which i've mentioned in that post as well. All Nature Shampoo - Angelica & Argan Oil - Even though, as i said before, my favorite shampoo is the Balea More Blond Shampoo, i like to give it a rest once in a while, because after using a certain product for a longer period of time the hair gets kind of used to it, and the results are not as good as they were before. So every once in a few months i use this shampoo as an alternative, and it's the best alternative for me. 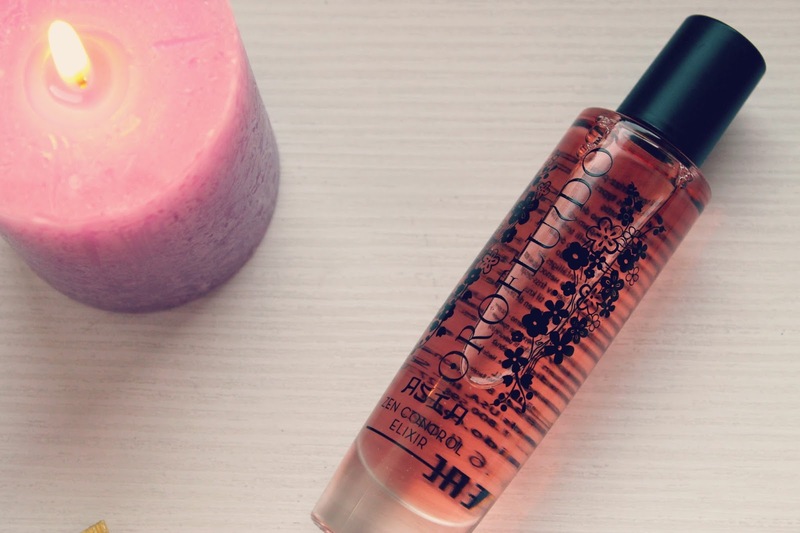 I love it because it's based on natural extracts and oils, it's free from silicones, parabens and other chemicals and also smells amazing and makes my hair very soft and manageable. As you can see on the photos i've already used up this bottle, and i am definitely gonna buy it again. 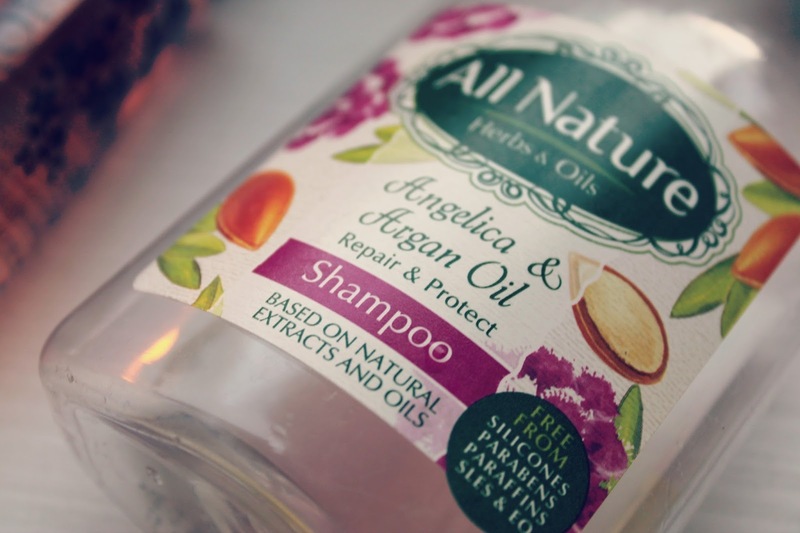 I love anything with Argan Oil so i'm sure that All Nature shampoo is great! Ooh that argan oil shampoo totally looks like something that I'd use! 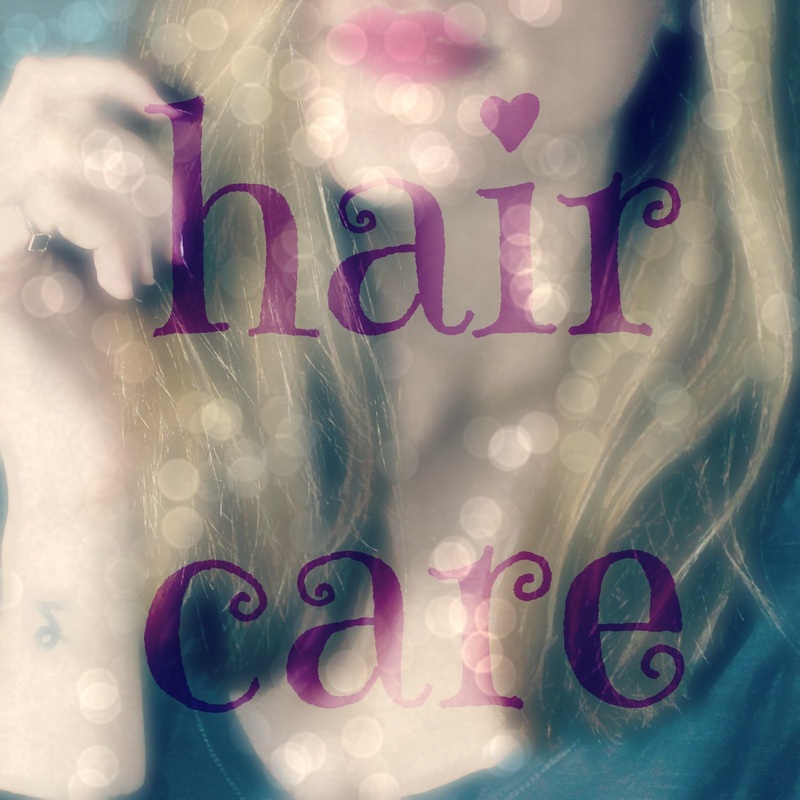 I've used a few argan oil shampoos, but I haven't been able to find anything that I really love yet. Баш би сакала да го пробам шампонот со арганово масло, а и поради фактот дека е од природни состојки. I tried this oil and loved it.